Your suspension system keeps your car up off the road. From there, it’s responsible for a smooth and comfortable ride around Hawthorn, Glen Iris and Camberwell. It also keeps your vehicle’s wheels firmly planted over bumps and through curves on Melbourne’s many different roads and streets. Your suspension system has many parts that do a big job. They should be inspected for damage and excessive wear at least once a year. A good time would be when you get your wheel alignment checked. Here are some warning signs of suspension problems in your vehicle: pulling to one side, wandering, erratic steering, uneven tyre wear, leaning, shocks bottoming out, poor ride or handling, oil leaking from shock absorbers and excessive bouncing. Now vehicle suspension parts just wear out over time. Shock absorbers and struts eventually lose their ability to control your ride. If you’re in an accident, your vehicle suspension can be damaged or knocked out of alignment. Even a minor accident, like hitting a curb, pothole or large rock, can mess things up. 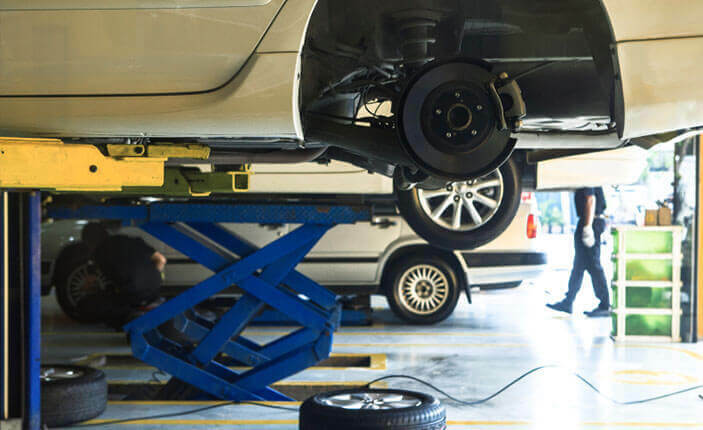 If you suspect suspension problems, ask for and let the friendly and knowledgeable service team at The Workshop Hawthorn to set things right.